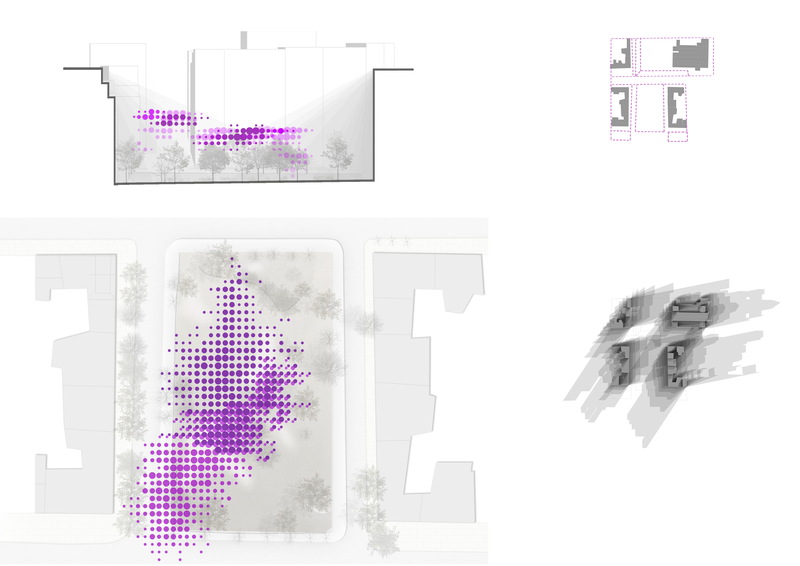 Our approach to ecology engages a low energy architectural design in order to activate public space for social interaction and to address the concept of environmental comfort. Comfort is defined as a binary condition of inhabitation and an adaptive behaviour between inside and outside, light and shade. 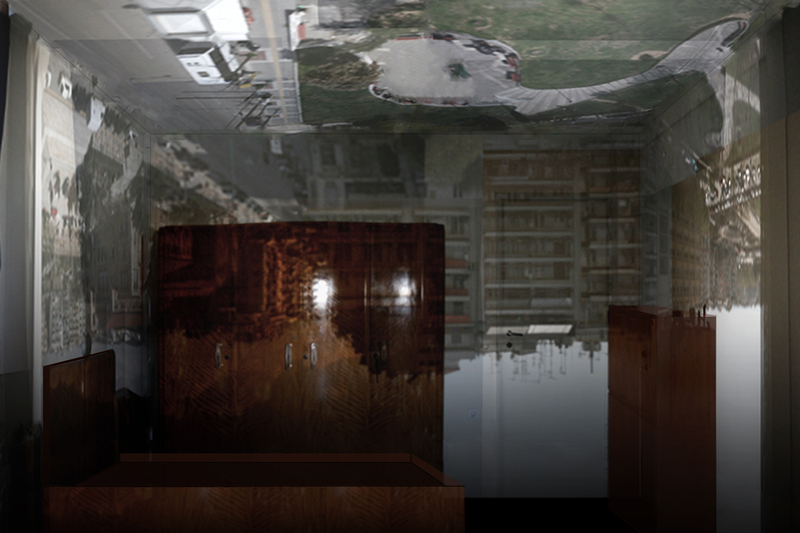 We worked from the vantage point of an apartment overlooking the park, setting up a camera obscura as a device for observation, which turns an interior room into an urban room. This shift in scale constructs a real-time architectural model that enables a multi-scalar design, including the invisible scales of the social, individual and in-situ. 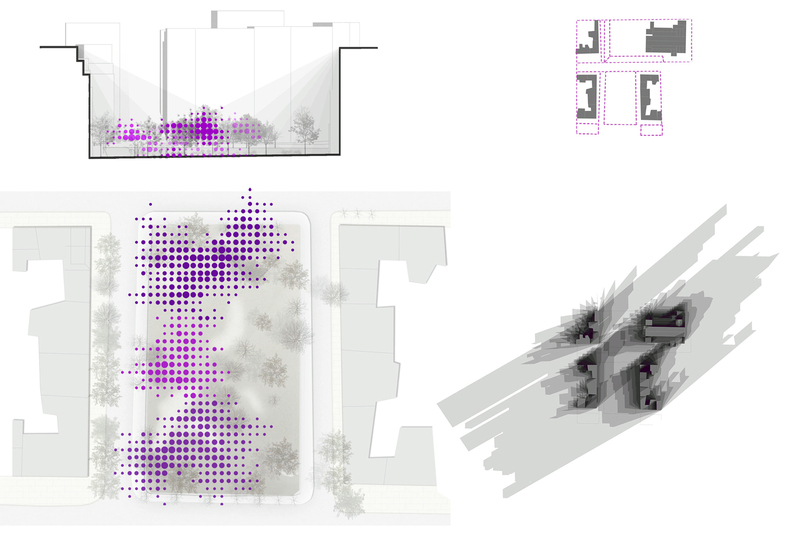 For the project we experimented with the notion of shade, understanding its spatial, social and perceptive qualities. 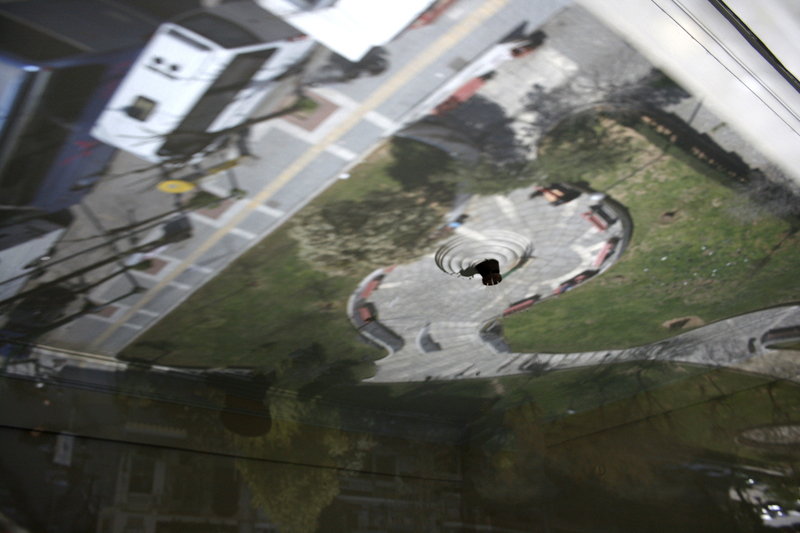 Shadows are transient and dynamic architectural bodies transforming space in a multi-dimensional field ready to receive impermanent use and pop-up situations. 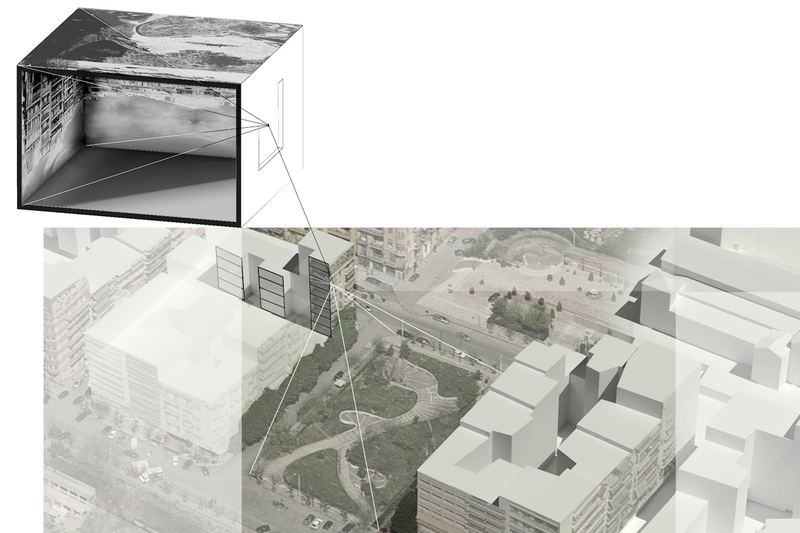 The park and surrounding space are visualized as a whole, an urban vessel with many layers of different micro-climatic scales: the park surface and historic city fabric, the human body, natural layers and the larger urban fabric.